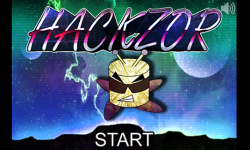 Play as a little robot that shoots laser balls out of its eyes to destroy aliens, their UFOs and the illuminati overlords! 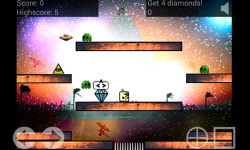 Defeat your foes as you shoot and jump around the platforms collecting huge diamonds that can increase your abilities and take you to the next level. Hackzor is a simple and fun way to kill some time! 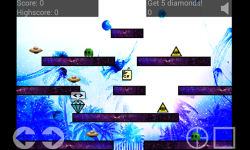 - HOW TO PLAY - • Tap display buttons to move, jump and shoot. • Avoid or shoot the enemies. • Collect the diamonds to unlock the next level. This is my first release. Enjoy this free game and share it if you like!